Love has no boundaries and it has no language. 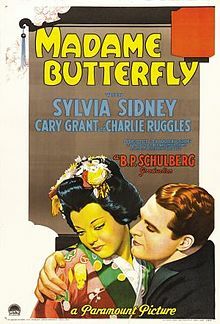 Madame Butterfly is one such story of different cultures and how one can get caught in the web of hope. The story is about lust on one side and love from the other. Lieutenant Pinkerton (Cary Grant) arrives on the shore of Japan for a holiday. Lt Barton, his buddy accompanies him to a local establishment where they are in look out for food, drinks and girls. 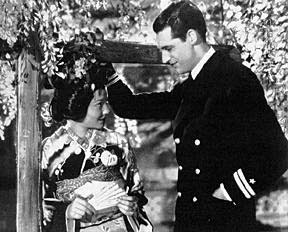 Pinkerton gets attracted to the local muse Cho-Cho San (Sylvia Sidney). 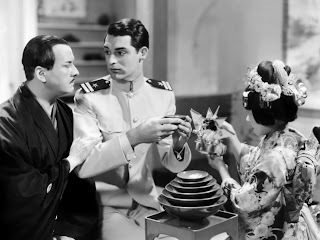 Pinkerton is given advice from Barton that he can marry Cho and can enjoy her company with the family approval. Although not serious, he was concerned what would happen to Cho once he leaves Japan. Abandonment is considered equivalent to a divorce in Japan, and Barton stressed this point to Pinkerton saying Cho will be free to marry any local guy once he abandons her and gets back to America. Pinkerton marries Cho and spends few days at her place. Cho’s mom and grand father treat Pinkerton well. Cho is in love with him and it was hard for her to accept the fact that he will be away in a few days time. With no promise, Cho waits for the return of Pinkerton. Three years pass by, she eagerly waits to meet her husband and give him a surprise, their son. She makes frequent visits to the harbour in hope to see Pinkerton coming to meet her. Pinkerton does arrive to Japan, along with his American bride. He meets Cho and tells the true story and apologises to her. And so, the hope through which Cho lived for the past three years were dashed by this admission by Pinkerton. This is the story of Madame Butterfly. 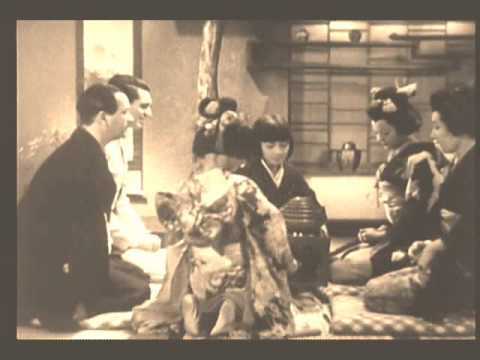 The 1932 movie produced by Paramount and directed by Marion Gering, was a non singing version of the opera by the same name by Giacomo Puccini. The opera is based on the short story written by John Luther Long in 1898 and dramatised by David Belasco.